355 +/- acres of WRP & Farm Land for sale in Franklin Parish, LA This tract will provide some excellent deer hunting and opportunity to duck hunt in south Franklin Parish. 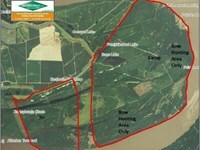 The tract consists of planted Wrp, mature hardwood Wrp, and irrigated farm land. There are several food plots with box stands already in place. 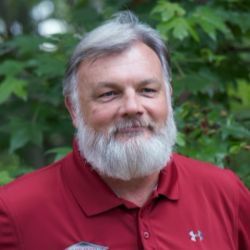 A good trail system connects each food plot location as well as provides good interior access to the entire tract. Great back up habitat and the owner's management practices have resulted in a strong and growing deer herd. There are 2 shallow water areas in place on the south end of the tract. Both have water control structures in place to maintain levels and drain the ponds. A well with a turbine pump is situated where it can be used to flood both ponds as needed. There are approx. 55 acres of leveled, irrigated farm ground in 3 separate fields that will provide income for the new owner. These fields are not in the WRP easement, have access to electricity, and could be used in part for a camp area. Note the owner has a large home near the property on 4 acres that could be bought separately as a large lodge. Ask the listing agent for details. Utilities Electricity is available. Location Approx. 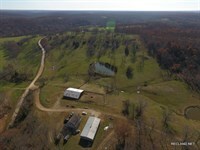 6 miles south of Fort Necessity and east of Hwy 562 on Ralph Easterling Rd Minerals Seller is negotiable. 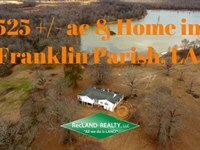 Legal Description Situated in Sections 19 & 30, T. 12N, R. 7E, Franklin Parish, LA Note Buyer's agents please see the commission information in the footer of the RecLand site. Price $1,200,000.00 Call Mark Hutto at or see the RecLand site for all our listings and aerial mapping. 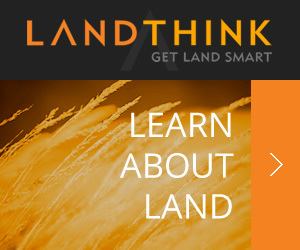 When calling broker, please say, "I found your listing 355 Ac, Deer & Duck Hunting Wr on LANDFLIP."